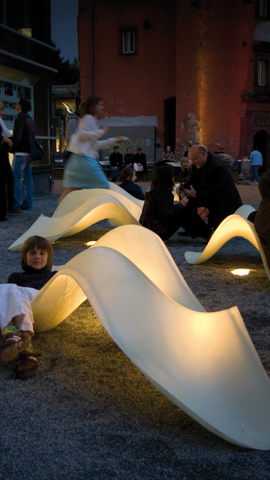 The landscape-like seating furniture were created by using a generative design method integrating material, form and structure. 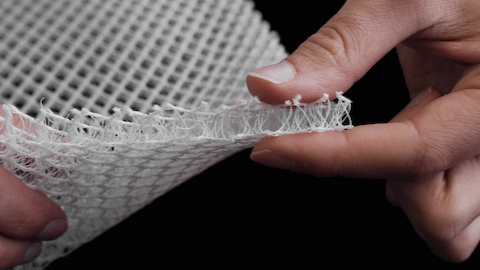 Composite Material: The project began with the development of a novel composite material consisting of a 3-D spacer textile sandwiched in a glassfibre skin. 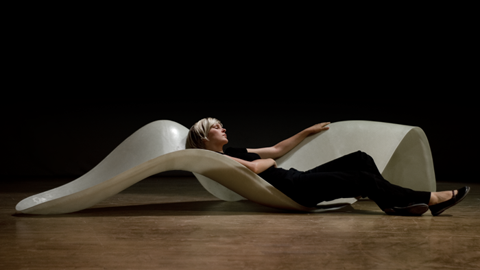 The design evolves directly from the potential of the novel compound material that allows generating complex three-dimensional forms. 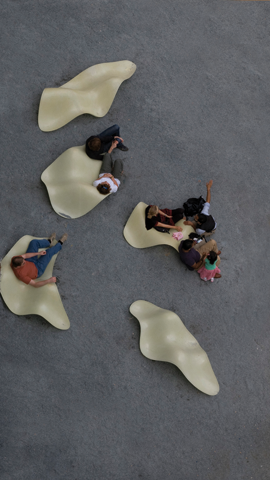 Body-Surface Interaction: Lounge Landscape breaks with the common functional zones of conventional seating furniture to encourage „loose fit“ seating. We do not define ergonomics as adapting a seat to a specific use but as offering a generated surface structure that invites users to sit just as they please. 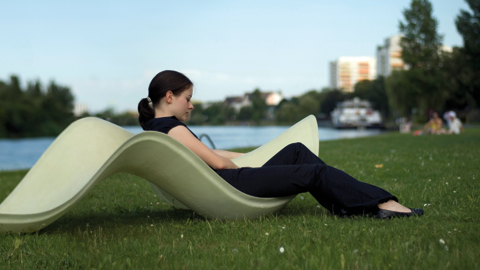 From Digital Formgeneration to Materialisation: The Lounge Landscape derives from methods of digital formgeneration. 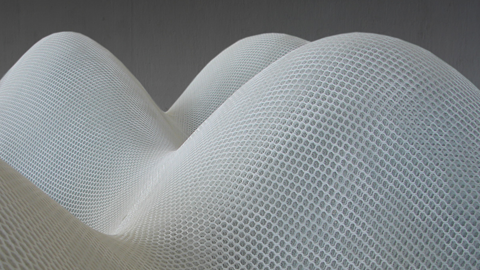 Starting point was the systematical generation and manipulation of parametric surfaces. The digital design was influenced and informed by manual design techniques, evaluating ergonomics, aesthetics and usage. The chosen ‘mother surface’ enables the production of a multitude of individual furniture all remaining stackable. 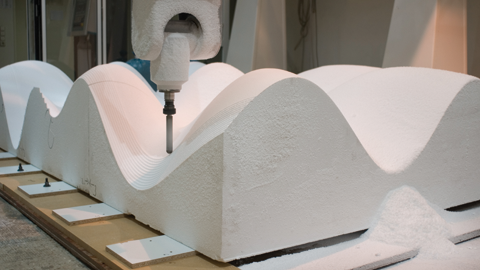 The mould was milled by a 5-axis-CNC-machine at HfG Offenbach. The project received several awards and was published widely. Nicola Burggraf, Susanne Hoffmann, Steffen Reichert, Nico Reinhardt, Yanbo Xu.